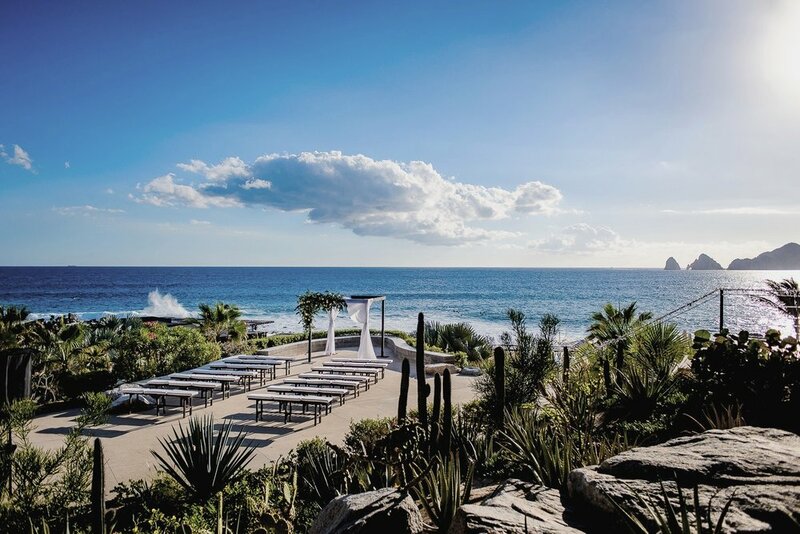 This amazing beach wedding took place at the Dreams Los Cabos, located just a few steps away from the sparkling Sea of Cortez just between Cabo San Lucas and San Jose del Cabo. Lacey and Jeremy had a very beautiful ceremony officiated for the best Minister in Mexico (he was my wedding minister as well). And what a better idea that having grandmas as flower girls, scattering rose petals along the bridal path. At the conclusion of the ceremony in what is probably the best known of all the rituals associated with Jewish weddings it is customary for the groom to break a glass.